If you are heading north for the weekend, you won’t want to miss the historic strip of road known as Old Highway 61 between Duluth and Two Harbors. Once traveled by sled-dog drivers, the road was paved over in the 1930s to allow easier passage up to the Canadian border and back. 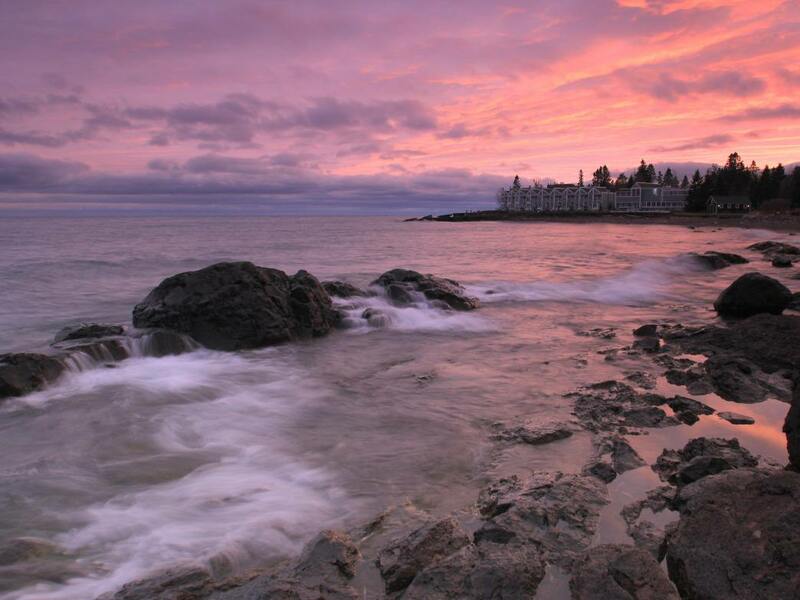 Snaking along Lake Superior, it offers one of the most scenic drives in the region. Near Kitchi Gammi Park in Duluth, you can hop off the Highway 61 Expressway and head closer to the lake to take Scenic 61 north to Two Harbors. While it may be slower, it’s well worth the view. What’s more, there are plenty of places to stop along the way, making it part of a perfect road trip. 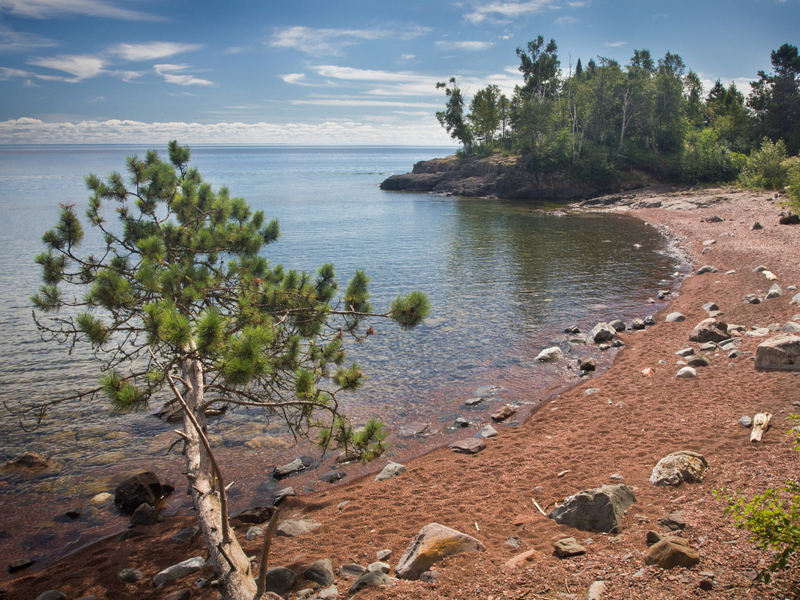 Once you reach Two Harbors, simply get back on Highway 61 and continue heading north. From great eateries to gorgeous northwoods hikes, you’ll easily be able to fill a weekend with all there is to do and see along this stretch of road. To give you a head start, we’ve rounded up some of top spots along Old Highway 61 and Highway 61 to hit up during a weekend road trip. Since there are too many parks, beaches, hiking trails, breweries, and restaurants to name, here is a list of some of our favorites to put on your bucket list. 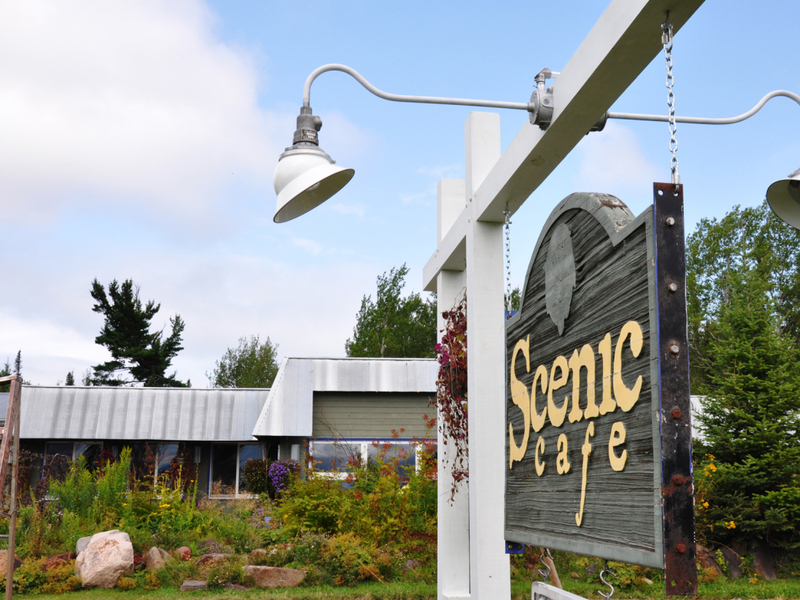 Touting a seasonal menu, the folks at New Scenic Cafe grow their own herbs in gardens on site, while also being heavily influenced by cuisine from around the globe. The cabin-like atmosphere is just the type of place you want to sit down to eat at during a weekend up north. Just make sure you save room for a slice of one of their world-famous pies. 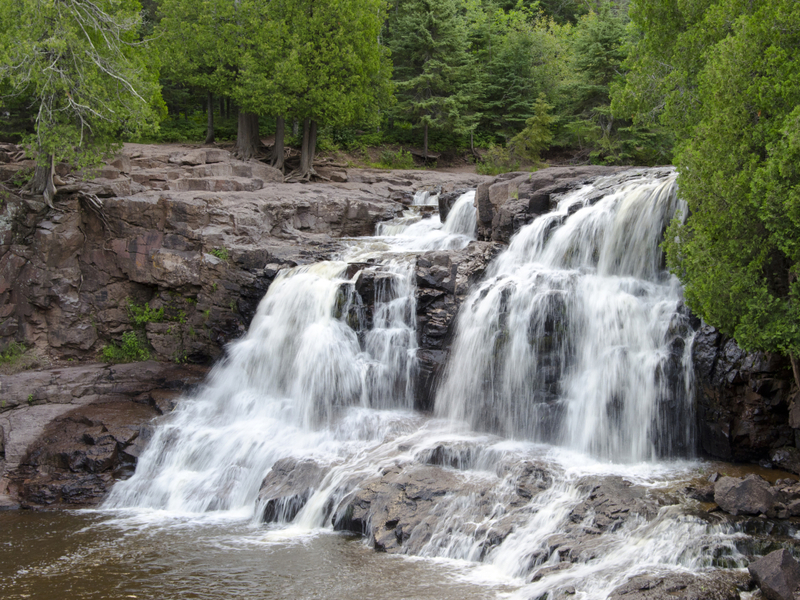 If you’re into waterfalls, Gooseberry Falls isn’t to be missed. A popular tourist spot, the park touts five falls, including a bridge where you can watch the water tumbling wildly over the jagged rocks. To get away from the crowds, head further into the park to check out the beautiful shrouded forest trails. At mile marker 42, this pristine and unique beach is worth a stop. Made up of entirely pink-shaded rock, Iona’s Beach is a great place to go hang out and snap some photos. 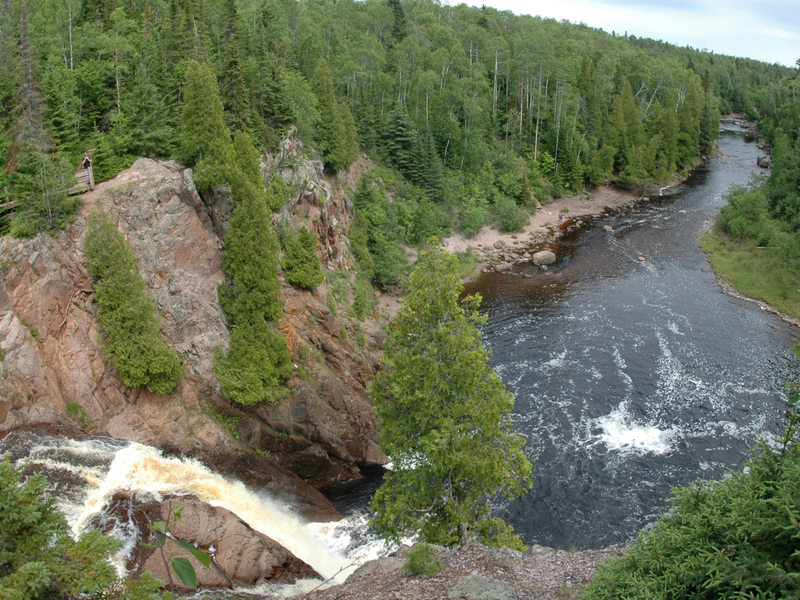 The chattering rocks washing up on shore will be music to any northwoods enthusiast’s ears. Be sure to explore some of the trail offshoots from the beach for more gorgeous views of the lake. 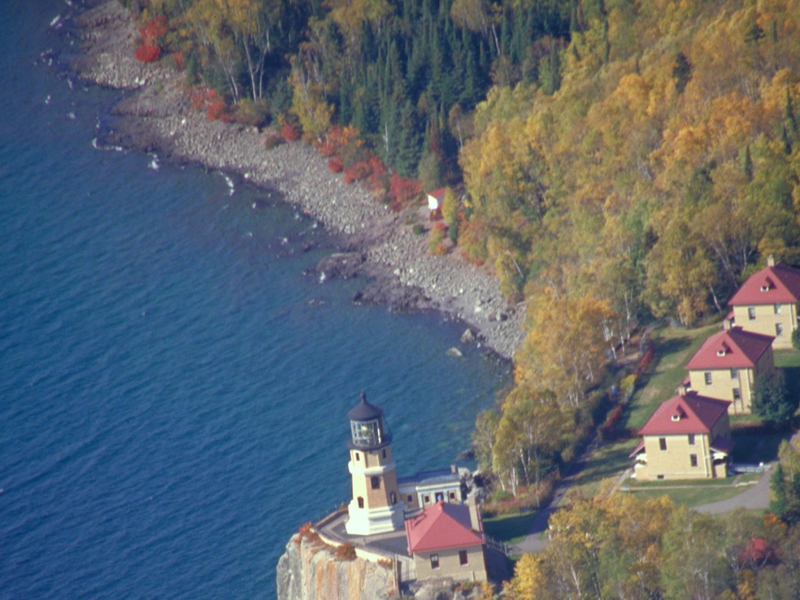 Known for it’s historic lighthouse overlooking Lake Superior, Split Rock Lighthouse State Park offers camping, hiking, fishing and plenty of other outdoor adventures. Whether you’re looking for a place to spend the day, or simply a quiet rocky beach to have a picnic, Split Rock is a must-see. Located within Tettegouche State Park, Palisade Head is part of some of the most gorgeous lakeside cliffs on the entire North Shore. In addition to the scenery, it is one of the most sought after crags in the state, bringing in plenty of experienced climbers every season. 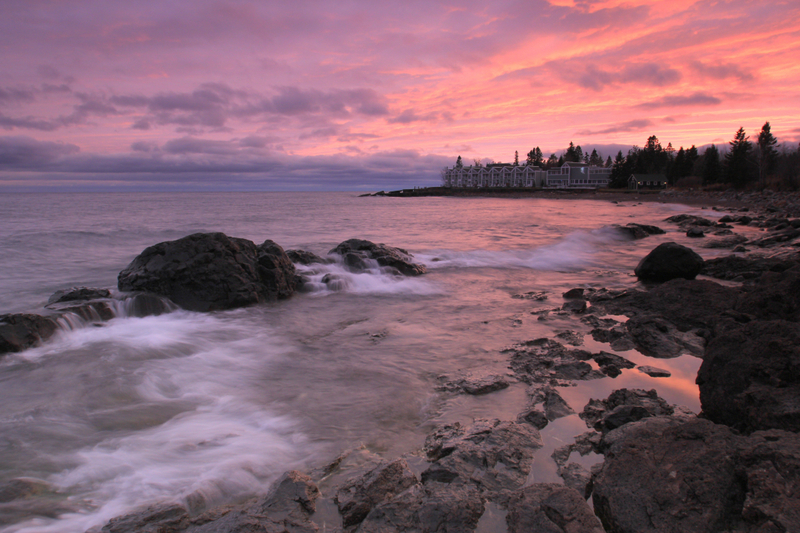 Grand Marais is the last significant town before the Canadian border. It is also home to one of the best pizza joints in the entire state. Be sure to make a stop at Sven and Ole’ s for a slice or three of pizza. Don’t forget to enjoy a couple local brews at this famous northwoods establishment. 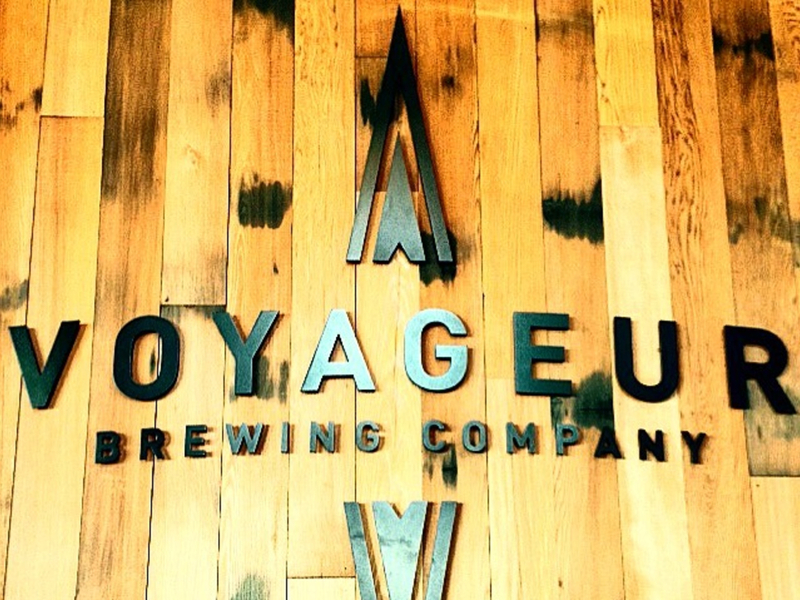 Speaking of beer, Voyageur Brewing is a relatively new local brewery in Grand Marais that offers a wide range of craft beer, as well as some artfully crafted appetizers. They have seasonal beers only available in their taproom, in addition to their flagship beers, which include an IPA, Belgian Wheat, Porter, and Brown Ale. If you’re headed out of town, you can even stop for a 64-ounce growler to take home. The last stop before Canada, this heritage center in Grand Portage offers a glimpse into the fur trade era and the history of the Ojibwe people. If you're not a history buff, they also have the Mount Rose and Grand Portage hiking trails to allow visitors to explore the area. Open year round, this is a great place to learn about what was once the main entry point of European trade with the local native people.